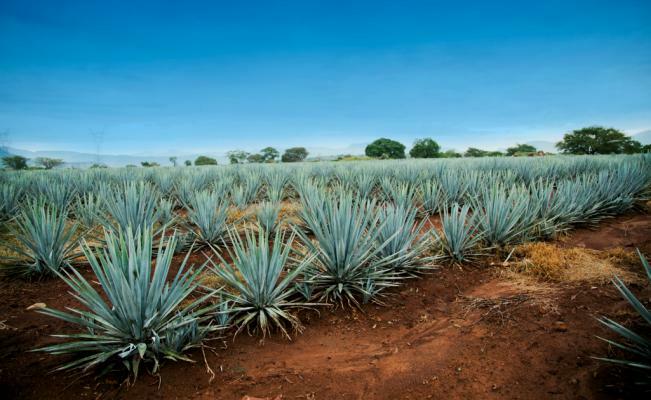 One of Mexico’s most famous tequila companies, Herradura, hopes to turn into fuel the thousands of tonnes of waste it generates each year from the spiky blue agave plants used to make the spirit, and cut its energy bill, said its engineering director. Herradura, Mexico’s second-biggest tequila company behind José Cuervo, says that by drying out the 150 tonnes of fibrous agave waste it generates per day and turning it into biomass to fire up the huge boilers it uses to steam the plant, it could potentially generate 30 percent of the energy it needs. “Simply, we have to squeeze out the water to recycle it and use it as a fuel,” said Guillermo Rodelo, Director of Engineering at Herradura’s plant in Amatitán, a few miles from the colonial town of Tequila in Jalisco state. “We’re trying to reduce our environmental impact and have sustainable processes,” he said by telephone. While finding machinery to dry and process the huge quantities of wet fibrous waste is tricky, Rodelo said the company hopes to have its system up and running within a year. Herradura has already shaved its energy bill by converting the residues known as stillage from its tequila-making process into biogas, which now provides about 20 percent of the energy used by the company, he explained. “The first big step was the one we did with the stillage to create biogas. Before it went to the agave fields, but this is much more sustainable,” said Rodelo. Owned by U.S. company Brown-Forman Corporation, which makes Jack Daniel’s whisky, Herradura produces its eponymous tequilas and other brands including El Jimador. Like French champagne, blue agave tequila has a protected designation of origin, and can come only from the five Mexican states of Jalisco, Guanajuato, Michoacán, Nayarit and Tamaulipas. Mexico produced almost 230 million liters of tequila in 2015, of which around 180 million liters were exported, according to the Tequila Regulatory Council.